Subtitles are textual versions of the dialog in films and television programs, usually displayed at the bottom of the screen. They can either be a form of written translation of a dialog in a foreign language, or a written rendering of the dialog in the same language, with or without added information to help viewers to follow the dialog. Another process of displaying text on a visual display to provide additional or interpretive information is called closed captioning (CC). Most people don’t distinguish captions from subtitles. In the United States and Canada (ATSC), these terms do have different meanings. Closed captions were created for the deaf community or hard of hearing individuals to assist in comprehension. Everything you purchase from Apple’s iTunes Store have CC subtitles, if at all. CC subtitles can be extracted with CCextractor (version 0.66 released on July 1, 2013), a free GPL licensed closed caption tool for Windows. Read The Closed Captioning Bible by Werner Ruotsalainen about this topic. The most basic of all subtitle formats is SubRip, named with the extension .srt, which contains formatted plain text. There exist a great number of subtitle formats and programs to create subtitles. An efficient and convenient subtitle editing tool that supports all the subtitle formats you need and has all the features you would want from such a tool is Subtitle Workshop (version 6.0a released on August 26, 2013) from URUWorks. It even includes spell check function and an advanced video preview feature, but it doesn’t embed the subtitles in a video file. Another performant tool is Subtitle Edit (version 3.3.8 released on September 1, 2013; Wikipedia) created by Nikolaj Lynge Olsson from Denmark. SRT subtitles are embedded with Timed Text as the Stream Text type, CC subtitles are labeled as EIA-608. The term anamorphic refers to a distorted image that appears normal when viewed with an appropriate lens. When shooting film or video, an anamorphic lens can be used to squeeze a wide image onto a standard 4:3 aspect ratio frame. During projection or playback, the image must be unsqueezed, stretching the image back to its original aspect ratio. By default, 16:9 anamorphic video displayed on an standard monitor appears horizontally squeezed, meaning images look tall and thin. The advantage of this was in the past that producers could shoot wide-screen material using inexpensive equipment. Rescaling anamorphic video in order to see the entire wide screen frame on a standard definition 4:3 monitor is called letterboxing, and results in the loss of the maximum resolution available in the source footage. 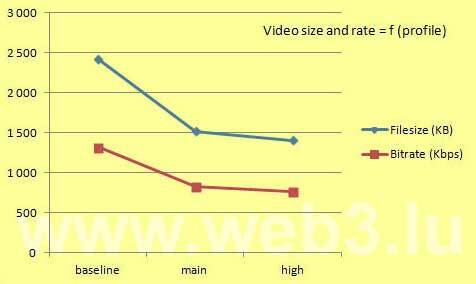 A wide screen (16:9) allows video-makers more room for creativity in their shot composition. The following ffmpeg script creates a video from a squeezed source image towards a stretched widescreen video with a ratio 2.35:1. The -aspect parameter handles the correct display aspect ratio (DAR). 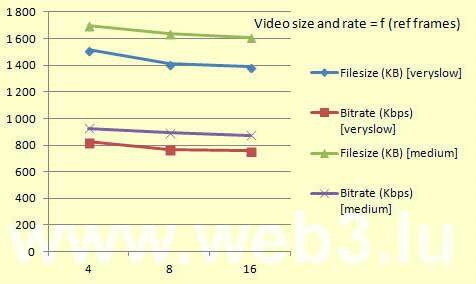 The MediaInfo tool shows that the video has 640×480 pixels, but an DAR of 2.35:1. 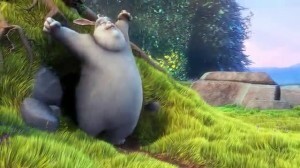 The VLC video player stretches the video based on the DAR. Videos with a wrong DAR in the metadata can be resized manually by changing the aspect ratio in the corresponding video menu. The updates are done with the AVS4YOU Navigator. 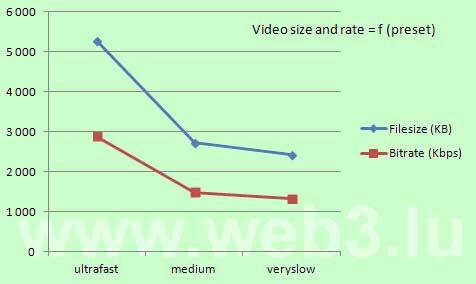 High Efficiency Video Coding (HEVC) is a video compression standard, a successor to H.264/MPEG-4 AVC (Advanced Video Coding), currently under development by a Joint Collaborative Team on Video Coding (JCT-VC) of the ISO/IEC Moving Picture Experts Group (MPEG) and ITU-T Video Coding Experts Group (VCEG), defined as ISO/IEC 23008-2 MPEG-H Part 2 and ITU-T H.265. 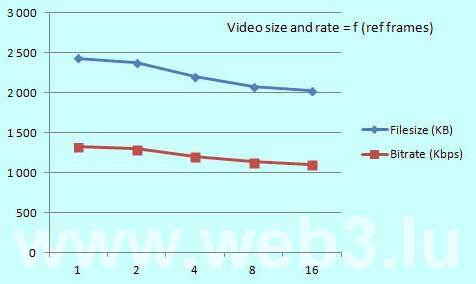 HEVC is said to improve video quality, double the data compression ratio compared to H.264/MPEG-4 AVC, and can support 8K Ultra high definition television (UHD) and resolutions up to 8192×4320. I wanted to know the best X264 parameters to encode my personal movies with ffmpeg for my family website. I rendered 375 frames (15 seconds) from the open-source Big-Buck-Bunny image files (360-png) with different settings, starting at frame 1.113. This post refers to my former post about AVC (H264) video settings. Presets are designed to reduce the work needed to generate sane, efficient commandlines to trade off compression efficiency against encoding speed. The default preset is medium. If you specify a preset, the changes it makes will be applied before all other parameters are applied. Profiles are not set by default in X264. If a profile is specified, it overrides all other settings, so that a compatible stream will be guaranteed. A level inside a profile specifies the maximum picture resolution, frame rate and bit rate that a decoder may use. The complete detailed informations about settings are available in the x264.exe inbuild documentation, accessible with the command x264 –fullhelp . By typing ffmpeg -formats in the command prompt window, a list of all supported media formats by FFmpeg is returned. The same is true for ffmpeg -codecs to get the list of all supported video- and audio-codecs. x264 (Wikipedia) is a free software library (libx264) and application (x264.exe) for encoding video streams into the H.264/MPEG-4 AVC format, and is released under the terms of the GNU GPL. X264 provides best-in-class performance, compression, and features, gives the best quality and has the most advanced psychovisual optimizations. 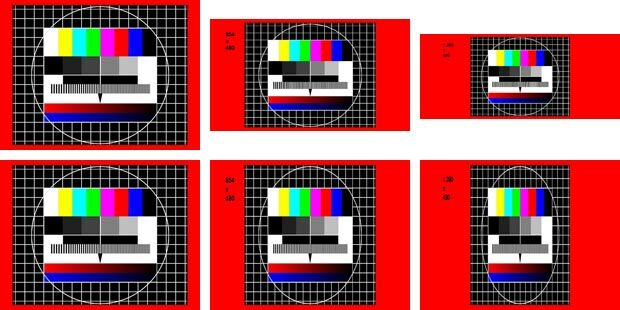 A comparison with other H264 codecs is available at the MSU Graphics & Media Lab (Video Group) of Lomonosov Moscow State University. The leader in this comparison for software encoders is x264, followed by MainConcept, DivX H.264 and Elecard. All available parameters can be listed with the command x264 –fullhelp. The purpose and use of all x264 settings is also explained on the MeWiki website. The fourcc code of the X264 codec is X264. To encode videos, x264 is not sufficient. Audio, subtitles and metadata should be added, and all these data need to be multiplexed. Therefore other tools are needed. FFmpeg is one of these tools. FFmpeg is a free software project that produces libraries and programs for handling multimedia data. It includes libavcodec, the leading audio/video codec library and libavformat, an audio/video container mux and demux library. FFmpeg is published under the GNU Lesser General Public License 2.1+ or GNU General Public License 2+, depending on which options are enabled. The ffmpeg component is a command-line tool to convert one video file format to another. X264 is added as an external library to FFmpeg. Zeranoe has great static builds of FFmpeg for Windows with libx264 included. Other useful external libraries are the Fraunhofer AAC library for AAC encoding and the LAME library for MP3 encoding. A very comprehensive documentation about ffmpeg , the libraries, utilities and tools is available at the FFmpeg website. A third command-line tool performing some manipulations on ISO media files like mp4 is MP4Box, the multimedia packager from GPAC (Project on Advanced Content). Dynamic Adaptive Streaming over HTTP (DASH) is one example. GPAC officially started as an open-source project in 2003 with the initial goal to develop from scratch, in ANSI C, clean software compliant to the MPEG-4 Systems standard, a small and flexible alternative to the MPEG-4 reference software. The GPAC framework is being developed at École nationale supérieure des télécommunications (ENST) as part of research work on digital media. A general documentation about MP4Box is available at the GPAC website. The Internet Streaming Media Alliance (ISMA) was Founded in December 2000 as a non-profit corporation by Apple Computer, Cisco Systems, Kasenna, Philips, and Sun Microsystems. In 2010 ISMA was merged with the MPEG Industry Forum (MPEGIF). ISMA 1.0 – details how to stream MPEG-4 Part 2 video (Simple Profile and Advanced Simple Profile) over IP networks. ISMA 2.0 – details how to stream H.264/MPEG-4 AVC video and HE-AAC audio over IP networks. ISMACryp – specifies an end-to-end encryption system for ISMA 1.0 and 2.0 streams. The MPEG Industry Forum (MPEGIF), founded in 2000, was a non-profit consortium dedicated to further the adoption of MPEG Standards, by establishing them as well accepted and widely used standards among creators of content, developers, manufacturers, providers of services, and end users. The group was involved in many tasks, including promotion of MPEG standards (MPEG-4, MPEG-4 AVC / H.264, MPEG-7 and MPEG-21), developing MPEG certification for products, organising educational events and collaborating on development of new de facto MPEG standards. In June 2012 the MPEG Industry Forum closed its operation and merged its remaining assets with that of the Open IPTV Forum. The Open IPTV Forum (OIPF) was formed in march 2007 to enable and accelerate creation of a mass market for IPTV by defining and publishing free-of-charge, standards-based specifications for end-end IPTV services of the future. The founding members Samsung, Ericsson, Sony Corporation, France Telecom, Telecom Italia and Philips have since been joined by other leading industry stakeholders. The OIPF specifications are available on the OIPF website which hosts also the ISMA technical specifications and the MPEGIF informations. The OIPF collaborates with the Hybrid Broadcast Broadband TV or “HbbTV” consortium, a major new pan-European initiative aimed at harmonising the broadcast and broadband delivery of entertainment to the end consumer through connected TVs and set-top boxes. The Xiph.Org Foundation (open source community) is a non-profit corporation dedicated to protecting the foundations of Internet multimedia from control by private interests. Xiph.Org hosts a collection of open source, multimedia-related projects. The goal is to put the foundation standards of Internet audio and video into the public domain, where all Internet standards belong.